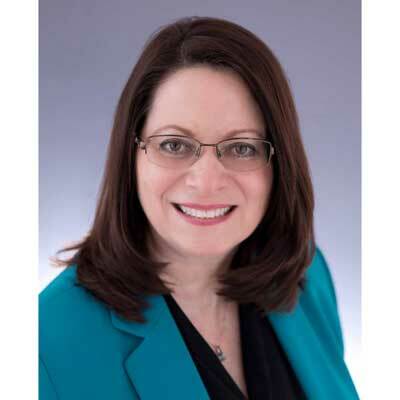 A 29-year veteran with VAR, distributor and vendor experience, Cindy has worked for industry leading vendors including Riverbed, EMC and Tech Data. Cindy's passion for channel innovation has led her to positions across all aspects of channel from sales, marketing, operations, strategy and program building. Cindy's current career position is unique in the industry as she runs channel strategy, programs and operations under one united team. January 2018 heralded the launch of Riverbed's new partner program that is purpose built to support all types of partners whether they are born in the cloud, a reseller, managed service provider, system integrator or any variety of hybrid partner. The program leaves the traditional competency-based programs of old behind and leads with a new performance-based program that rewards partners regardless of the consumption preferences of their customers. Leveraging my 29 years of VAR, distributor and vendor experience to run channel strategy, programs and operations under one united team, I co-led the effort to revolutionize the Riverbed partner program and introduce Riverbed Rise. My major contributions to Riverbed Rise include launching an improved, simplified partner portal that provides ample opportunities for self-service, and creating flexible incentives that partners can use to improve the bottom line, drive business development or train their personnel. My goal for 2018 is to propagate the culture of innovation within Riverbed that the channel team has been an integral part of this past year. We say "rethink possible" at Riverbed and that mantra is core to the excitement and change that is driving our success. I was honored with a CRN Women of the Channel award in 2017, and CRN Channel Chief for 2018. I have the honor and joy of working with many strong women at Riverbed including our own channel leader, Bridget Bisnette. I admire Bridget for her ability to develop and portray a crystal clear vision with what she calls the "art of communication." She also has this amazing ability to get people to step out of their comfort zone and embrace new ways of thinking - and have fun while they are doing it! I would tell my 16- year-old self to listen more deeply and ask for more advice. It's ok to make mistakes but, if you take the time to hear the advice that others are offering, you'll make fewer of those mistakes! I want to become a better story teller. If you are able to get your listeners to become emotionally involved with the story you are telling, they will be captivated and you will make a greater impact. I'm a fantasy buff and love to get away from the business world when I'm travelling on an airplane. This year I read all the Outlander books by Diana Gabaldon. I love the way she weaves history, science fiction, romance and danger into each of her books. After each of her books, I'll look up selections in history books to find out just how close she came to describing the events and the people that were there.